Mumbai, June 09, 2018 (Akash Sharma): StarPlus has been entertaining families with fresh doze of drama and heart-warming romance for the past few decades. This year, the channel is geared up to bring to you a range of content, the latest offering being with Balaji Telefilms for the upcoming show Qayamat Ki Raat. A fantasy thriller which is high on emotions of romance, lust and vengeance promises to keep the audience at the edge of their seats with its plot twists and high drama. As a complete family entertainer, the show unfolds the story of a young couple who are tested when faced with the power of the tantrik’s curse. Introducing television’s most unnerving villain, the Tantrik-turned-Rakshas, played by Nirbhay Wadhwa, stands out as a never seen before evil - a demon who lusts for power and immortality and is out to gain vengeance for his death and become invincible on an eventful night. Once his Sar, Haath and Dhad unite the viewers will be in for a bloodcurdling journey with the eeriest monster coming alive on ‘Qayamat Ki Raat’ on Indian television. The unique pairing of popular actors Karishma Tanna and Vivek Dahiya who play the role of Gauri and Rajvardhan, will be seen on screen for the first time delighting fans with the good looking couple. 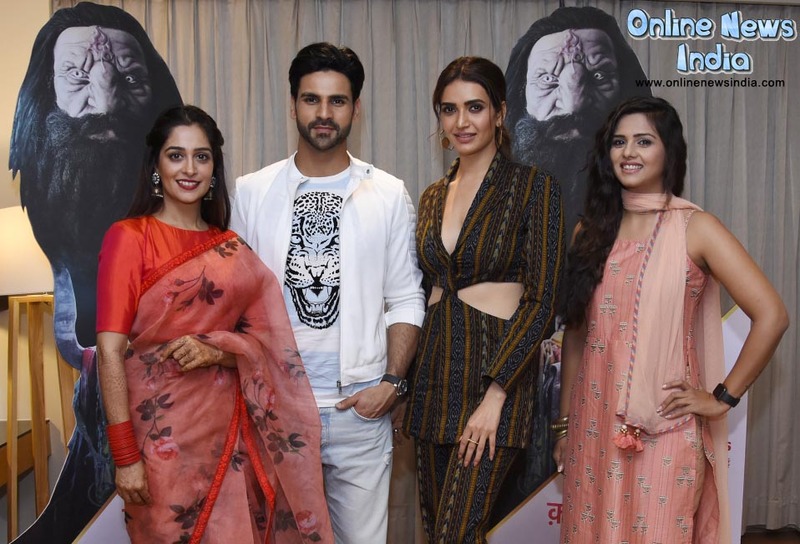 Unveiling the journey of Thakur and Shekhawat families in the backdrop of the state of UP, the show will boast of a stellar cast including Dipika Kakar, Abhinav Kohli, Papia Sengupta, Sumit Bharadwaj among others. This show will also mark the comeback of veteran actor Apara Mehta on StarPlus after more than a decade. Produced by Balaji Telefilms, the show will go on air from 23rd June and will be aired every Saturday and Sunday at 7 PM on Star Plus.